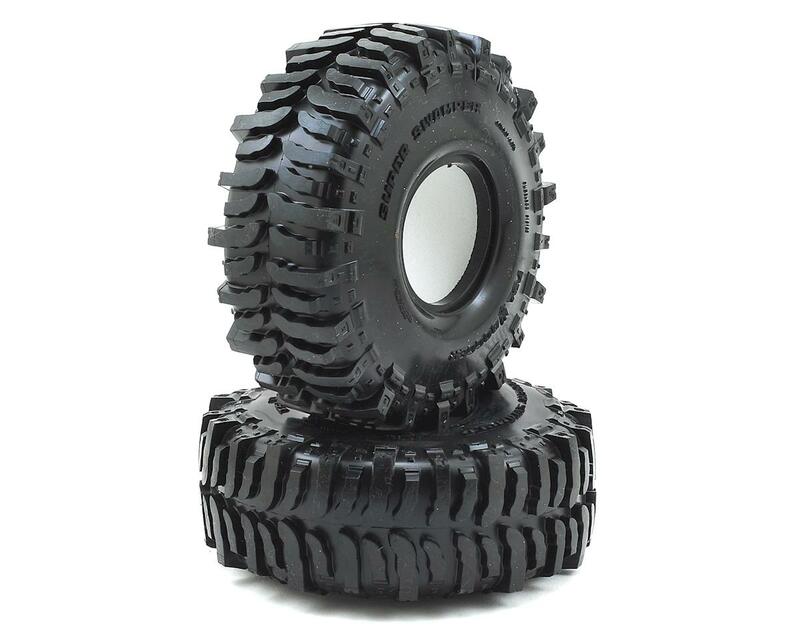 The Pro-Line Interco Bogger 1.9" Rock Crawler Tire measures in at a massive 5.4” tall x 1.91” wide. These tires are perfect for guys looking to do some mud bogging, or for recreating a beloved full size truck in perfect scale detail. Pro-Line’s officially licensed Interco Bogger tires feature a directional tread pattern with the patented Interco TSL (three stage lug) design just like the full-size tires. The Bogger is incredibly aggressive in stock form, but also extremely versatile and easily modified for even more mud flinging performance. 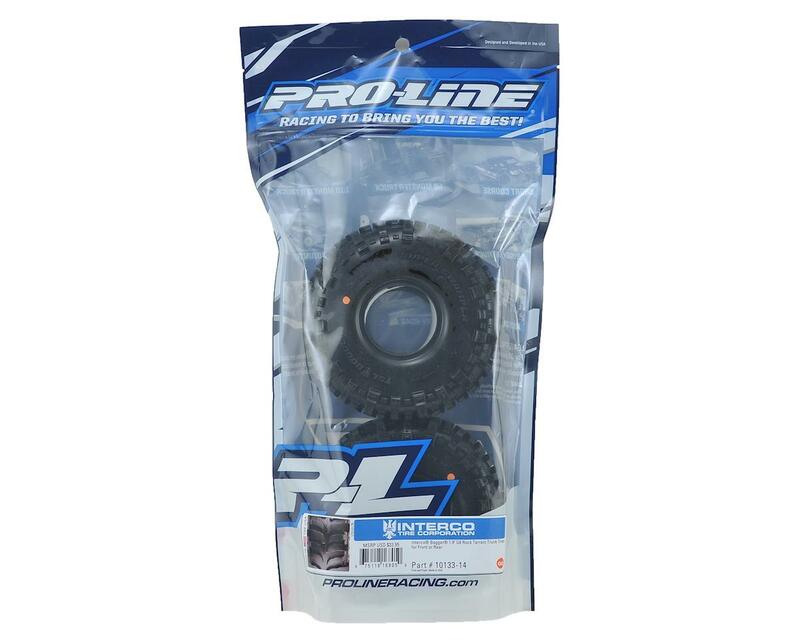 They come in Pro-Line’s legendary G8 compound to deliver incredible performance right out of the package. NOTE: For Interco Bogger Scale Decals, see part# PRO10133-33.